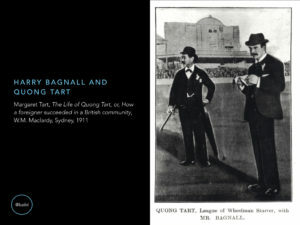 I have been told by a cousin that I have recently found that my great grandfather who came to Australia from a small village in Guangdong in 1875 and as far as I knew was a just a small landowner was a Mandarin of the third order. Have you heard of this and is it possible? It is certainly not an impossible story. 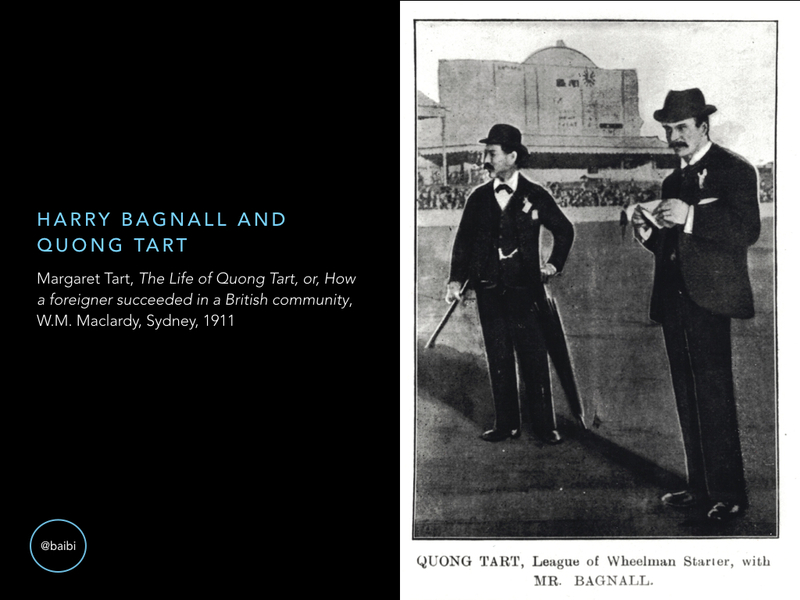 As you might know a number of wealthy and prominent Chinese Australians, including as Quong Tart in Sydney and Way Lee in Adelaide, held Qing imperial honours. 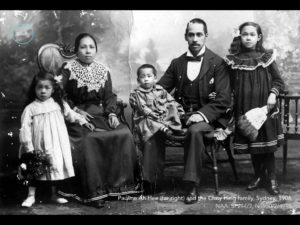 As for your ancestor, did he receive honours before he left China or on returning to China at a later date? From the mid-19th century, the sale of honours became more common as a means of raising government revenue. Elizabeth Sinn, in her book Power and Charity (p. 86), notes that wealthy overseas Chinese merchants were targeted, as they had money and an interest in the status that imperial honours brought. 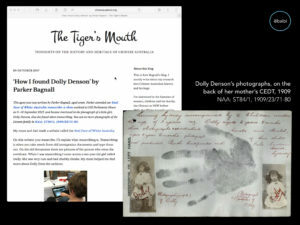 Like others, I too look forward to seeing ‘The Tiger’s Mouth’ show up in my emails. 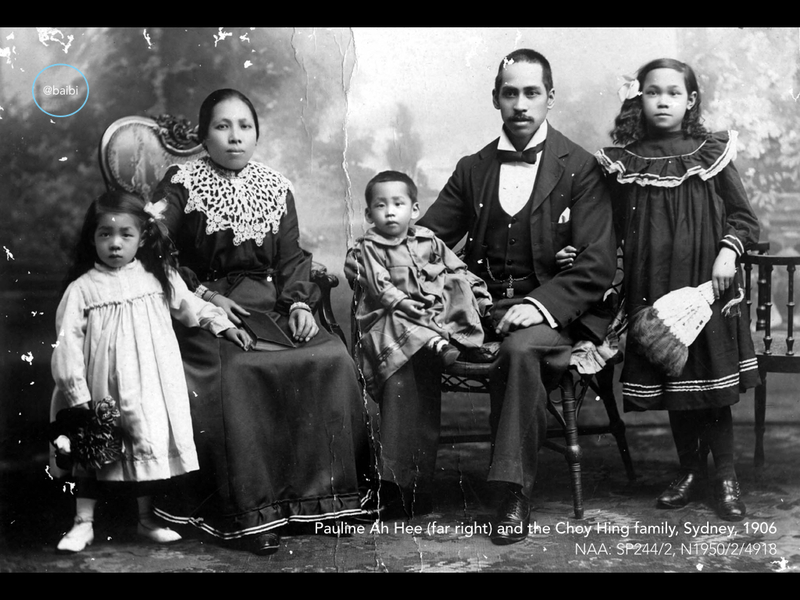 My great great grandfather was Chinese and his wife, my great great grandmother, was German. Whilst I have not had time to do very much research into the Chinese side, I have found that Chinese/German marriages were not uncommon as my great great grandmother’s older sister also married a Chinese man. Hopefully, in 2018 I will have more time available to spend time on this research. Thanks for your kind words, Helene. I have German ancestry too, but no Chinese! Hi. Although I have just found the link to your website I have found it amazing that there is so much information out there that I did not know off. 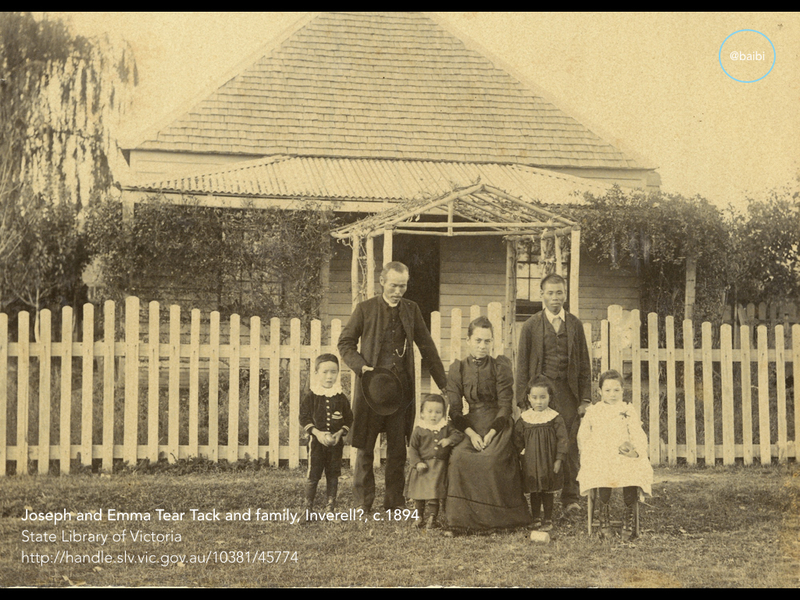 My great grandmother was born in Ballarat in 1865 where her parents married and her father (Chin Tock) ran a shop on the Gold fields before moving to Tas. in 1879. They had a family of nine. My grandfather’s father (Ma Sui) came from the village of Nam long near Bai Sha their family also consisted of 9 children. I was able to trace the village with information left by Ma Sui before he passed away. 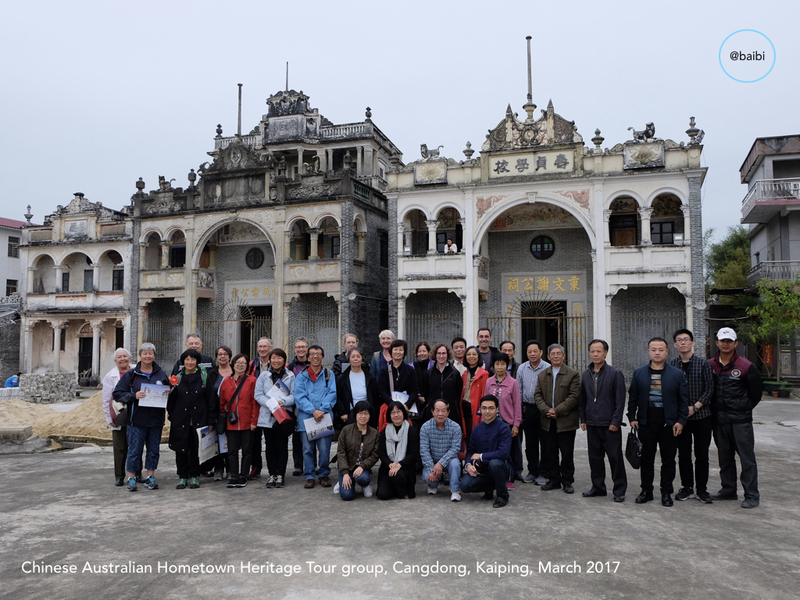 The hometown tours are an amazing way of reconnecting so hope to join your next tour if you run one. 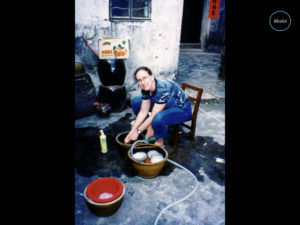 Hi Jan. How great that you had enough information to trace Ma Sui’s village from the information he left. Sophie and I hope that the tours will be an ongoing thing, and you can sign up for more information on upcoming tours at http://katebagnall.com/projects/hometown-heritage-tour/. Thankyou Kate for everything: for your outline of your own history journey across two decades, for your persistence, for your altruism and for making the outcomes accessible. You inspire me to keep going with my own family research and perhaps one day in some small way it will help others as your work has amply done. Thanks for your kind words, Robyn! I always enjoy the appearance of another “The Tiger’s Mouth” email in my inbox, particularly this most recent link to your paper presented to the Studying the Family conference. As a family historian, I wish to express my enduring appreciation of your digital engagement with a wider world outside academia. Like you, I do not have Chinese ancestry, but my children do. Their mother, my companion researcher, did not learn of her Chinese heritage until 10 years ago, after her grandmother died having kept the secret for 102 years. Only then did her son, the person to whom she had confessed this secret, feel free to tell a few other members of the family. That was before we really started our family history project, and was one of the motivating factors for it. I’d like to think we would have discovered the truth anyway, but I have to admit my wife’s uncle’s clues were helpful. 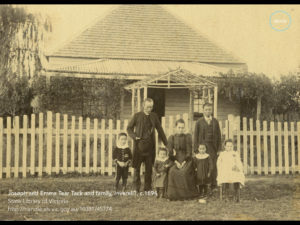 I was fascinated to read of your PhD student Emma Bellino’s work to understand the weird rules that must have rendered Australian born people non-Australian – deliciously ironic given some of our politicians’ present predicaments. 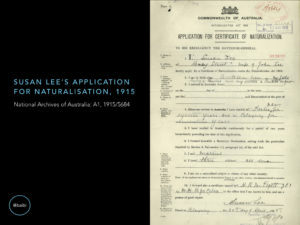 Prior to ‘Naturalization’ in 1915, was Susan Lee considered Chinese, or stateless, like Josh Frydenberg’s mum? 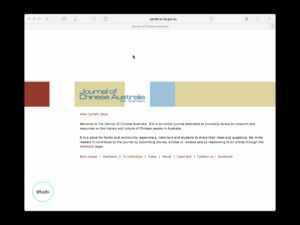 I hope your students will follow your lead and publish their findings online for all to read. And that leads me to some suggestions for research topics you could suggest to other students. I would love to read some research into names. The “Ah”s lead to so many brick walls, but there must be some clues that clever researchers might find to help guide family researchers who want to back track the progressive Anglicisation of Chinese names as descendents sought to cover their tracks in decreasingly tolerant White Australia. A modern look into the impact of conservative White Australian-ism straitjacketing individual and family freedoms would probably make compellingly sad reading. 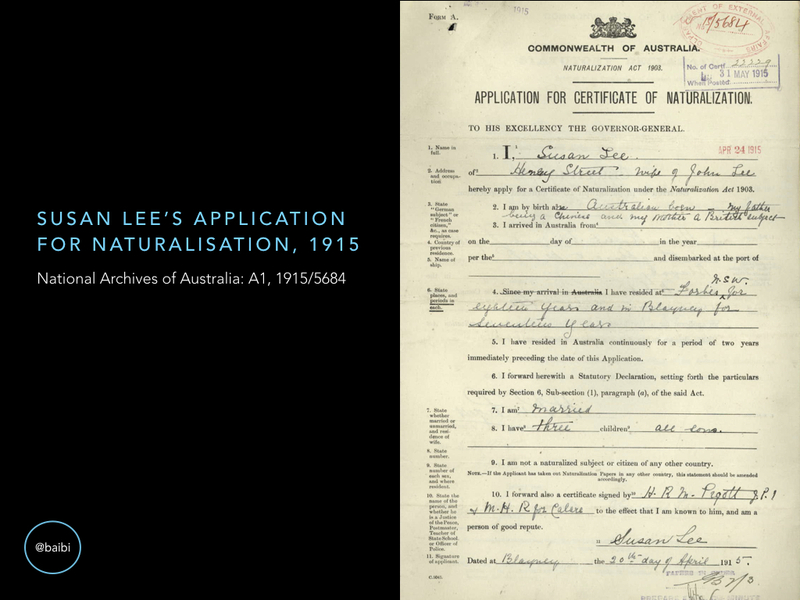 And finally, precious little research seems to have been done on a topic close to my family’s interests: not all Chinese migrants to Australia came from or through Guangdong. 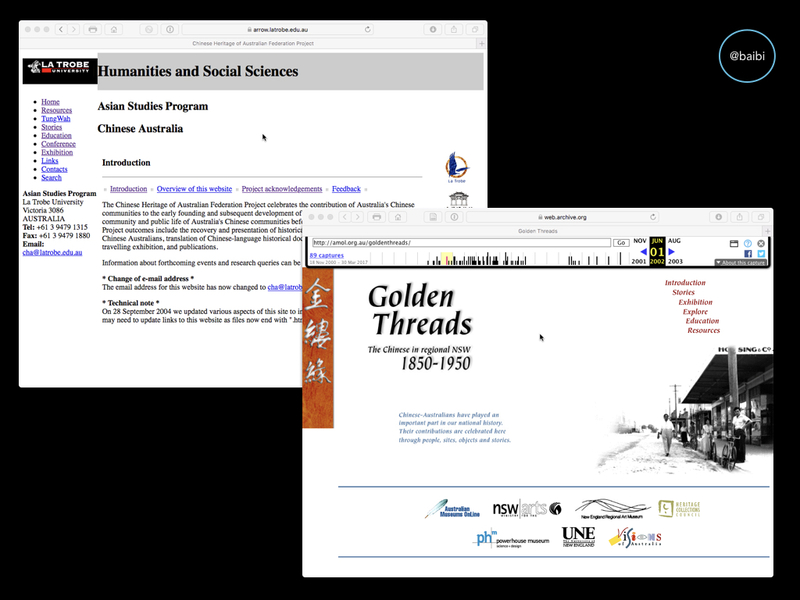 Surely, one among your doctoral candidates would be interested in tackling the paths less travelled from China to the Australian colonies? Hi Michael. Thanks for your comments! 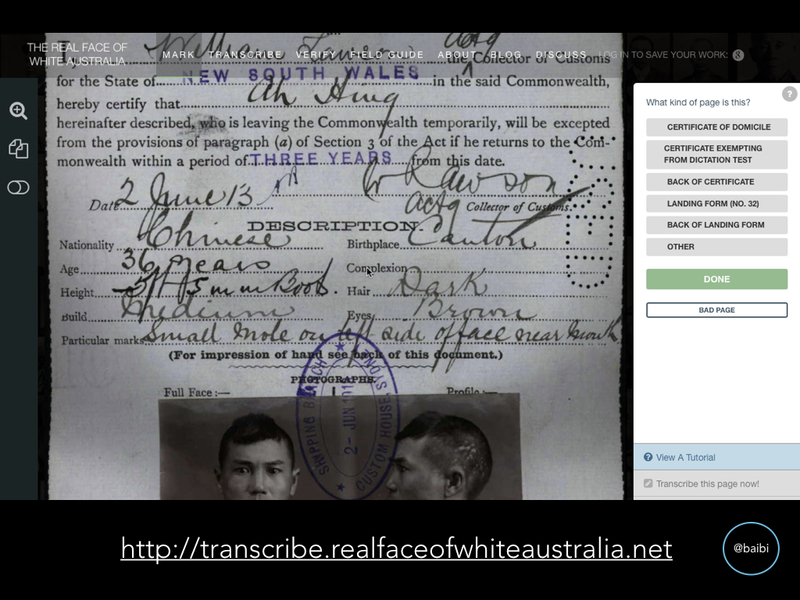 In a nutshell, in the early decades of the 20th century, Australian women (who were British subjects by birth) who married ‘alien’ Chinese lost their British nationality and became Chinese nationals. Citizenship law is complex though, and Emma’s project is teasing out the precise legal situation of these women, as gradual changes were introduced in law and administrative practice over the first half of the 20th century. Emma’s just in the early stages of her research, but I will certainly be encouraging her to share what she finds out. 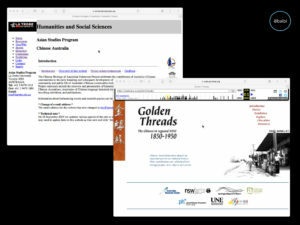 Your suggestions for future research are good ones, and I hope that more students come along who are wanting to pursue Chinese Australian history for Honours and postgraduate research. There has been some research done on the early non-Cantonese arrivals (e.g. the work of Maxine Darnell and Margaret Slocombe), but I agree that there is more to be done. 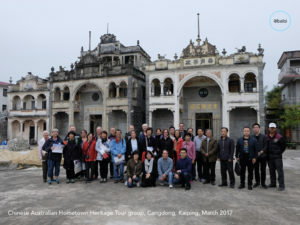 I wish I had the same familiarity with Fujian and its history of overseas migration as I do with Guangdong!